F-actin Staining Kit - Blue Fluorescence | Cytopainter (ab112124) fluorescence imaging kits are a set of fluorescence imaging tools for labeling sub-cellular organelles such as lysosomes, mitochondria, and actin filaments. The selective staining of cell compartments provides a powerful method for studying cellular events in a spatial and temporal context. 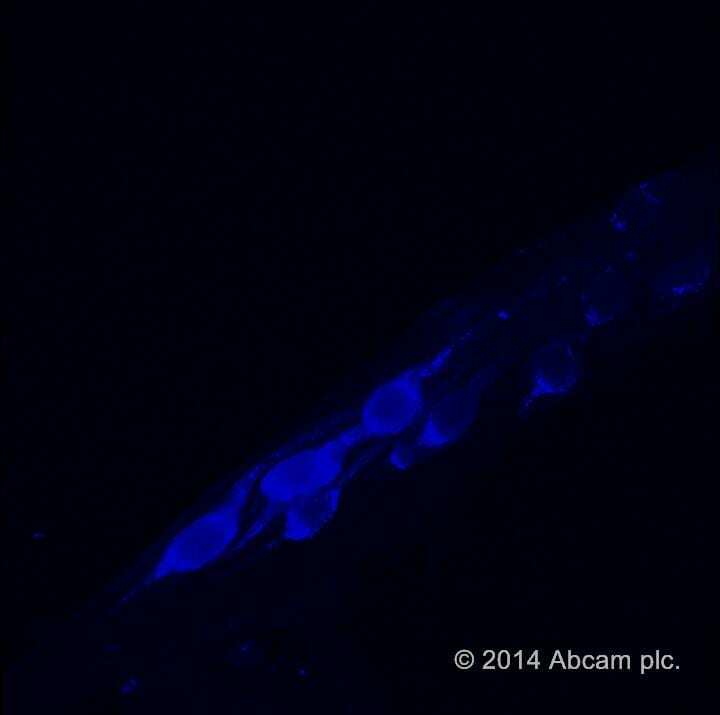 ab112124 is designed to stain F-actins in fixed cells with blue fluorescence. The kit uses a blue fluorescent phalloidin conjugate that is selectively bound to F-actins. The phalloidin conjugate has Ex/Em = 350/450 nm, compatible with DAPI filter set that comes with most of fluorescence microscopes. It is a high-affinity probe for labeling, identifying and quantitating F-actins in formaldehyde-fixed and permeabilized tissue sections, cell cultures or cell-free experiments. ab112124 provides all the essential components with an optimized labeling protocol. 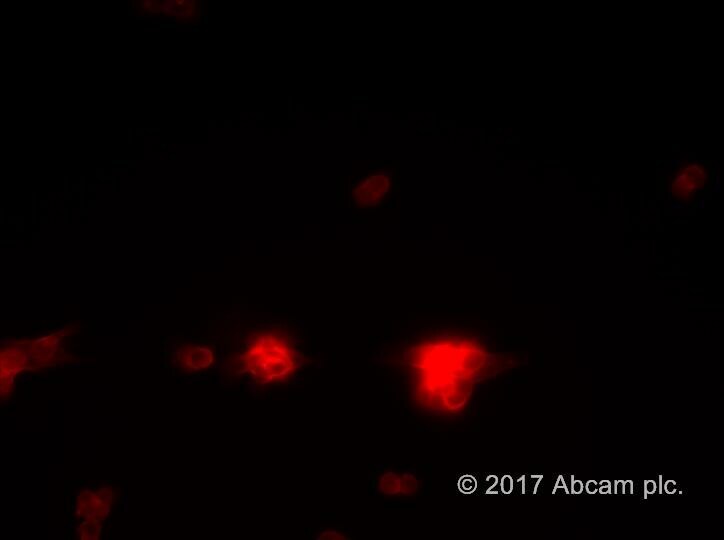 CytoPainter F-actin Labelling Kit - Blue Fluorescence (ab112124) - CPA cells were fixed with 4.0% formaldehyde in a Costar black 96-well plate. Left panel: Cells were labelled with CytoPainter F-actin Labelling Kit - Blue for 30 minutes. Right panel: Cells were pre-treated for 10 minutes with phalloidin, prior staining with CytoPainter F-actin Labelling Kit - Blue for 30 minutes. ab112124 has not yet been referenced specifically in any publications. Publishing research using ab112124? Please let us know so that we can cite the reference in this datasheet. The kit is straight forward and works well. However, you have to consider the fixation method. I used 4% PFA and perhaps, is not the best method for visualizing component of the cytoskeleton. Additionally, I strongly suggest adjusting the dilution of the Blue Phalloidin in the provided buffer because highly dependent on the experimental conditions and therefore, not universally valid. 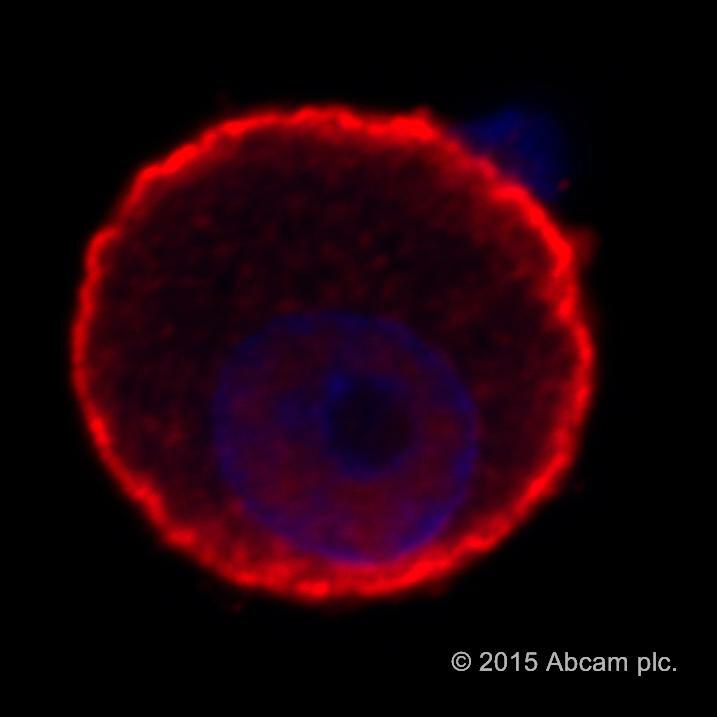 The picture shows murine derived breast cancer cells (untreated) stained for F-actin. 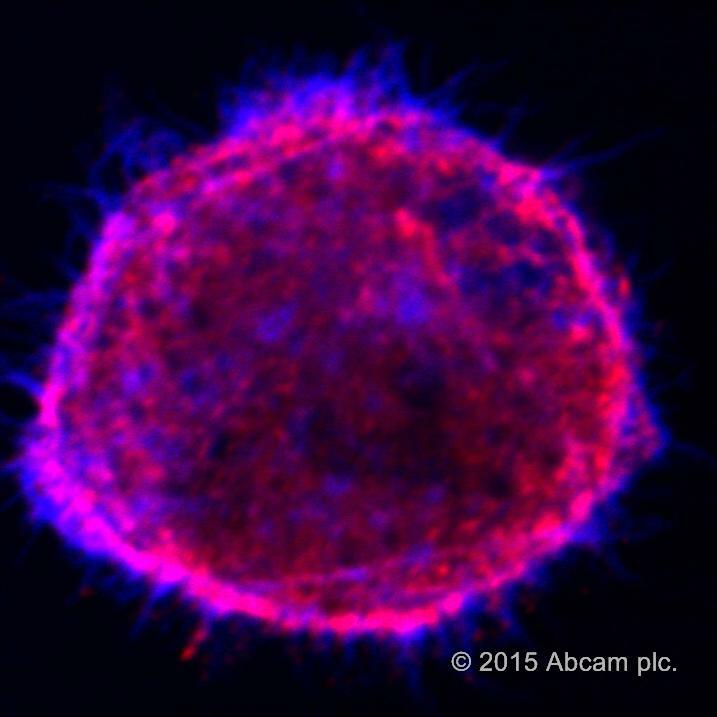 F-actin of human HEPG-2 cells have been stained using CytoPainter F-actin Staining Kit-Blue Fluorescence according to the manufacture’s (Abcam) protocol. Good bright blue signal with easy procedure. Interestingly, there seems to be some differentiation as to which structures are visualized depending on which detergent is used for permeabilization. This needs to be pursued. My only reservation is that fading over time at 4ºC has been more notable than with the Alexafluors.